Weather in Bali in February this year is not good for a vacation. 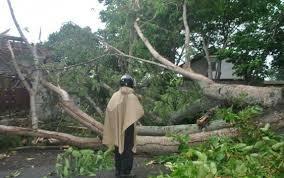 Rain happens everywhere, this year's rainy season is very heavy and frequent. Flooding everywhere and submerged roads in the city. Weather in Bali today can disrupt the activity holiday in Bali. Travelers will feel uncomfortable with suaca conditions like this. Heavy rains in Bali always happen every day. Rain occurred evenly across all areas of Bali. It's hard to predict when the rain will end. Due to overcast and dark clouds always visible in the sky. The sun is not visible, thick clouds signify rain will occur. Even when the rain had finished, the clouds are still visible in the sky, the rain is still going to happen. Bali holidays will be disturbed if people force themselves to go to Bali. Because of bad weather in Bali is not conducive to outdoor activities. Rain in Bali makes people have to travel by car, to avoid the rain. During the rainy season the people go by car. It impacts on the increasingly crowded with vehicles. In Denpasar all very congested roads by vehicles. The bad weather in Bali caused natural disasters. 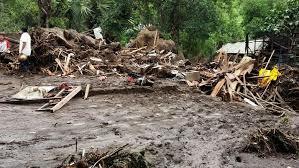 Landslides, floods, tornados, and even flash floods occurred in Bali today. Buleleng flash floods and left many homes were destroyed, bridges to be broken. In Jembrana of the bridges had collapsed due to flash floods. 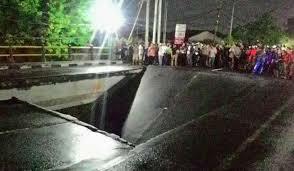 Traffic from Denpasar to Gilimanuk become obstructed, and vice versa.